Find the best tennis centers, clubs and courts in Reno, Nevada. All of which have great facilities that range from outdoor tennis courts to indoor tennis. Below are the options to play tennis at private and public tennis courts throughout the Reno and Sparks area. The Caughlin Club nestled within the Caughlin Ranch community sits above the Truckee River in the shadow of Cross Peak. Caughlin Club has 9 outdoor tennis courts, 7 of which are lit, and two painted pickle ball courts. Caughlin Club has an “Ace Attack” ball machine available for rent. The Caughlin Club tennis center in Reno is family oriented and has several other amenities including a fitness center, dance studio, indoor basketball court, volleyball court, beach bar, and provides child care services from infants to elementary school. The tennis club is private for its membership, however, the club is extremely customer centric! The public can participate in all tennis programs, classes and lessons without club membership. 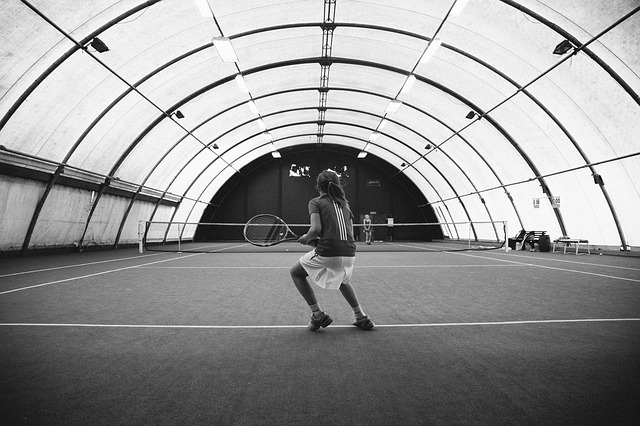 There are limited options to play on indoor tennis courts in Reno, Nevada. Thankfully, at Caughlin Club we have our kids playing tennis year round. 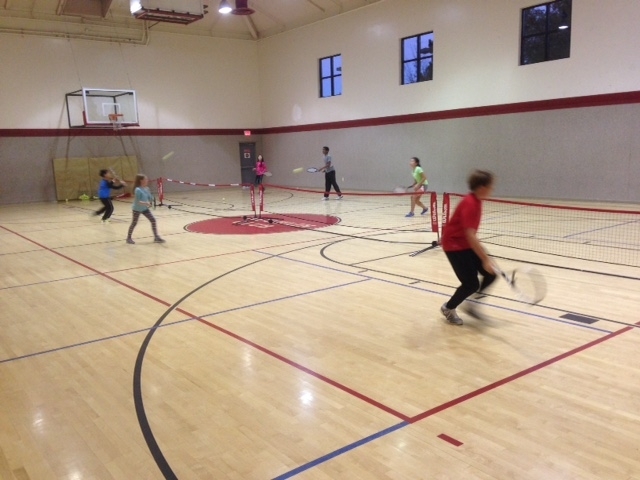 When the weather doesn’t allow to play tennis outdoors, we bring our kids into the indoor gymnasium to play tennis. They love the change of pace. Playing indoor tennis is a safe environment as the juniors rally with depressurized balls on smaller court sizes. We are available by phone 24 hours a day, 7 days a week! For additional tennis court and tennis club information call us at 775-240-6505 we would be happy to help you. 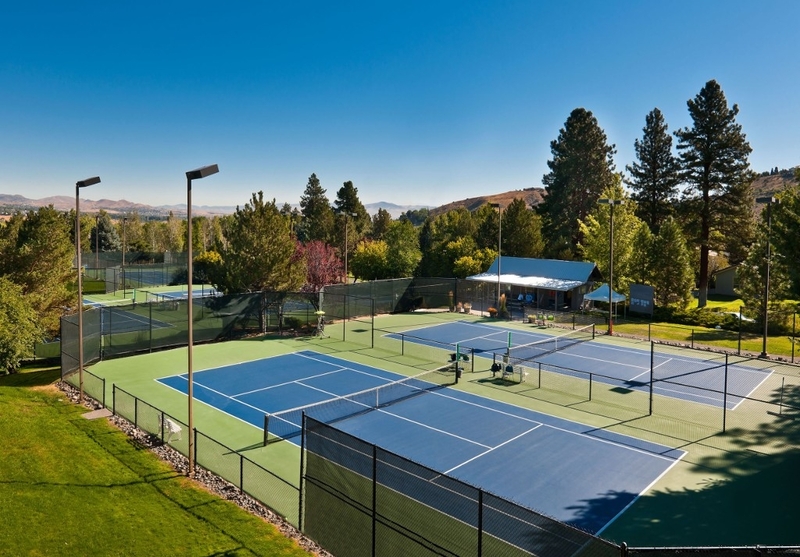 The largest private tennis club in Reno, Lakeridge Tennis Club has 18 outdoor tennis courts, 12 tennis courts with lights, and 4 indoor tennis courts. The tennis club has several other fitness amenities and is a members only club. Adjacent to the Washoe Golf Course, the Reno Tennis Center is the largest public tennis center in Reno, NV. The center has 16 outdoor tennis courts, a tennis wall or backboard, and 4 lit tennis courts. The center is open year round. The tennis center is open to the public and doesn’t have set business hours. The lit tennis courts turn off around 9 – 10 pm. Owned by Washoe County, the Reno Tennis Club has 6 well maintained public tennis courts. The club has a chalkboard set up to manage court use by the tennis players. The tennis club is overseen by a board that conducts events for the membership. The tennis courts are open year round. The tennis club is open to the public and doesn’t have set business hours. Washoe County Parks and Recreation determine when the gate to the tennis courts opens and closes. The McArthur Tennis Center is located up at the University of Nevada, Reno. The tennis center has 6 tennis courts for the teams to host matches and conduct practice. This is a great opportunity for tennis to be played on campus for the student athletes and for the local community to come watch division one level tennis. At this time the facility will serve as a practice and competition location for the Pack’s men’s and women’s tennis teams. We are still waiting to find out the details regarding tennis play at the tennis center for non UNR tennis team players. All Seasons Racquet Sports is the premier tennis teaching company in Sparks, Nevada. Evan Brown, USPTA Professional, is the Director of Tennis and provides tennis lessons, classes and camps to all ages and experience levels. ASRS is located at Burgess Park Tennis Center which has 3 lighted tennis courts and is open to the public. Tennis Nation Racquet Sports strives to assist with growing tennis in the community while providing tennis racquet and stringing services to the tennis community and tennis centers throughout the Reno and Sparks area. For assistance on finding tennis courts, lessons, classes, camps, or equipment give us a call.